The Greater Heights community in the 77008 zip code dates all the way back to the late 1800s. The past is alive and well in its beautiful historic architecture, which many current homeowners have chosen to update with modern touches. The apartment-dwelling community is also strong. The Heights remains one of the most sought-after neighborhoods in Houston. Residents and visitors alike love the area for its character, charm, stunning buildings, and laidback vibe. 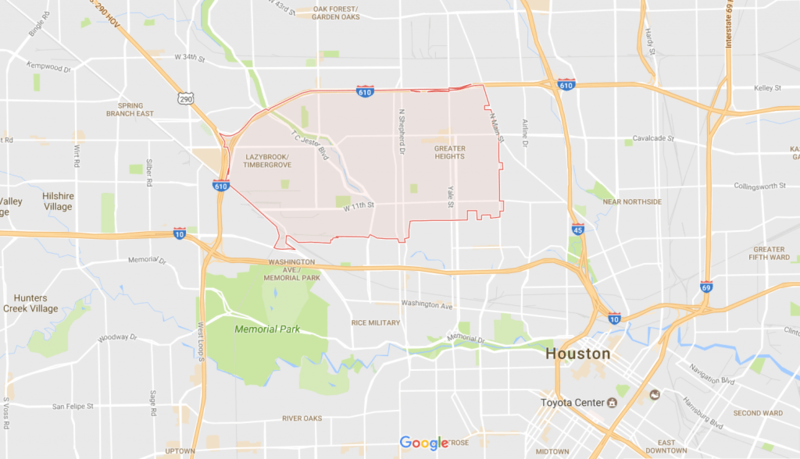 The community enjoys 15 green spaces, an easy commute to Downtown Houston, unique shopping, and award-winning restaurants. Attractions include Opera in the Heights, Live Oak Friends Meeting House, Shine in the Heights, and many more. Ameritex Greater Heights Movers have vast experience moving clients in the Heights part of town. Count on us to make your home move a smooth, pleasant experience, no matter the type of home. Our experts can handle each step of the moving process. If you’re looking to move to a trendy Heights apartment, we can help with that, too. Obstacles like elevators, parking restrictions, and apartment policies can’t faze our Greater Heights Movers. Booking our service leaves you free to explore your new surroundings and have fun settling in. The Heights is a prime location to set up your business. For this reason, we offer commercial and office moves. Our moving professionals practice safe, efficient, and timely packing and transport. We pledge to have you ready to go in your new place of business as soon as possible. Many of our clients rave about our full-service move. Ameritex is proud to provide all-encompassing moving services, from the first box packed to the last item perfectly set up in your new home. You won’t have to lift a finger. We handle everything. If that’s not your style, you can choose from any of the following services. If you’re planning a move to the Greater Heights area, Ameritex is here to help. Follow the link to contact us or scroll to the top of the page and fill out our straightforward moving quote request. Take a few minutes to read what our many satisfied customers have to say. Finally, be sure to check out our famous stress-free move day guarantee.